Whether it is a flat tire, worn tread, or even alignment issues, we have you covered here at Ron’s Auto and RV tire shop. We will meet your needs for your tire replacement and repairs. Tires are one of the most important factors of a working vehicle, and if not serviced regularly they can cause serious problems on the road. Steer clear of problems and come see us today! Below is the list of services we offer in our tire shop – if you do not see your issue, please give us a call and we can assist you further. 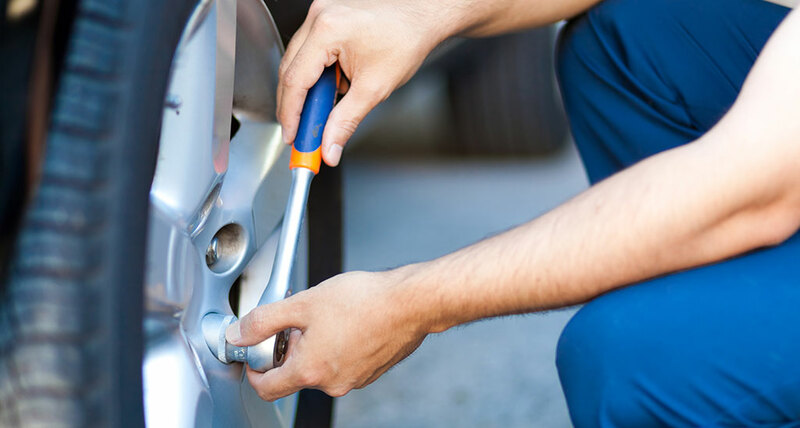 Our team is prepared to take care of any emergency tire repairs or replacements. Do not hesitate to give us a call, your safety is a priority. From potholes, to nails, there are several things that can cause a flat tire. We here at Ron’s can assess the damage of a tire and if it’s a minor problem, we’ll fix it. Tires do not always need to be fully replaced, sometimes, they simply require a patch, or plug to repair a puncture. If there is no puncture, but there is still air leakage, it may be time to replace your tire valve. We are equipped to take care of any tire repairs that come our way. A good method to check tire tread on your own is to use a penny. Take a penny and put the top of Abe Lincoln’s head in a part of the tire that looks low on tread. If you can see all of Lincoln’s head, it’s time for new tires. The law requires there to be a minimum of 2/32” of tread depth on tires, but their performance can drop long before that. We have the skills and equipment to remove the old tires from the wheels, and mount and balance new tires. This is incredibly important when getting new tires. Mounting is the process of putting the new tires on the wheels. Balancing is ensuring the weight is distributed evenly throughout the tire, wheel, and axis. Ensuring proper balance is important for a smooth ride. If you are experiencing any vibrations while driving, this may mean your tires are out of balance. Tires come in a vast array of types and sizes. From Golf Carts to RVs, if it’s mobile and needs tires, Ron’s Auto & RV has the knowledge and experience to help. If you have a tire that is uncommon, don’t hesitate to give us a call. Whether it needs to be replaced or repaired, we can help. Sometimes, tires cannot be repaired and must be replaced. In the case of a punctured sidewall, or punctured shoulder, the tire cannot be repaired. Tires have a special internal structure and repairing either of these parts puts you at risk for a blowout. After inspection, if your tire cannot be repaired, we are happy to discuss your options. Are you experiencing your car pulling one direction when you drive or unusual tire wear? These are both issues that can be caused by wheel misalignment. Wheels can go out of alignment by worn or damaged suspension components, or simply driving day to day. Misaligned wheels can cause tread to wear down faster and unevenly. Having your car aligned properly can save gas mileage, and will make your tires last longer. Tire alignment typically starts with a visual inspection of tire wear, suspension components, and bushings. Tire pressure may need to be adjusted, and if there is noticeable misalignment, repairs will be done to realign your vehicle. Brakes with plenty of brake pad friction material, along with other working mechanisms are vital for a good working vehicle. They are one of the things that need to be serviced regularly on a vehicle in order to maintain the safety of the driver and passenger(s). When brakes are ready to be replaced, they will make a loud “chirping” or “squeal” noise. Sometimes, you may experience grinding, vibration, or a slower response when pressing the brake pedal, these are also signs of worn brakes. Brakes have many components and we are more than capable of servicing the following; brake master cylinder, disc brake calipers, brake pads, drums, fluid, rotors, shoes, wheel cylinders, lines, ABS systems, and mounting hardware. An abnormally bumpy ride, or noise is an indication that it is time to have your suspension looked at. A car’s suspension has two to three main components; the springs, shocks, and/or struts. Shocks are more common in larger vehicles such as SUVs and trucks, whereas struts are typically found in cars, but some vehicles have both. Our tire shop performs services on all components of the suspension. An inspection of the suspension system is the only way to determine if there is in fact something wrong with it. We do not do aftermarket services which includes lift kits, lowering kits, etc. If you are unsure of what kind of tire service(s) you are looking for, give us a call or stop by today and we will be happy to diagnose any problems you may be facing. We want to make sure you receive quality service and that you get back on the road safely. 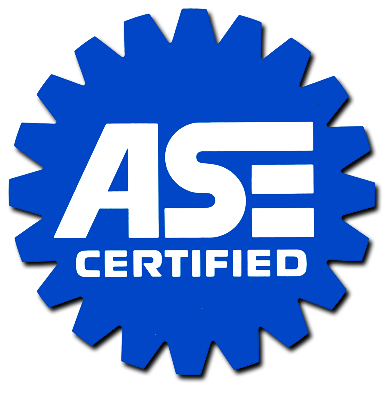 Our ASE certified mechanics service both foreign and domestic transmissions, standard or automatic, for all types of cars, trucks, SUVs, and vans.At Ron’s Auto and RV we are factory trained specialists for Honda, Ford, Subaru and many other makes of vehicles. Our factory training means you can rely on us to service and repair your vehicle to the highest manufacturer standards. We will solve your auto problems, or help you prevent them! All auto repairs we do are covered by our 2 year/24,000mi in-shop warranty. We also offer a 3 year/ 100,000 mile warranty on our re manufactured Brand transmissions (Ford, GM and Chrysler). All others are 12 months and 12k miles. At Ron’s Auto and RV tire shop we are committed to giving unparalleled tire service to our customers. We are confident that our tire service are among the elite here in the Vancouver area. We Check With You FIRST! Thanks to ASE certification program, everybody wins: car owners can easily find ASE Certified Technicians who have proven themselves to be knowledgeable professionals and repair shops can get additional market visibility. 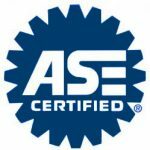 ASE certification promotes excellence in automotive repair and service. More than 330,000 Automotive Technicians and Service Professionals hold ASE Certifications in one or more of ASE’s many study areas.